Entrants to both Concours are by invitation only. Entrance to the Concours is by catalogue only available at the entrance to the Concours - £10.00 (Admits up to 4). Visitors must have brought a separate ticket to the Heveningham Country Fair either in advance or on the gate see http://www.countryfair.co.uk. Heveningham Hall Concours d�Elegance, inaugurated in 2016 as a motorsport event, brings together some 50 of the world�s finest motor cars which are displayed amid the backdrop of Grade I listed Georgian mansion Heveningham Hall on dramatic grass terraces designed by renowned landscape architect Kim Wilkie. Now in its fourth year, the Concours d�Elegance has evolved to include some of the world�s finest propeller aircraft which will also be on display during the event which sees all proceeds raised going to charity. 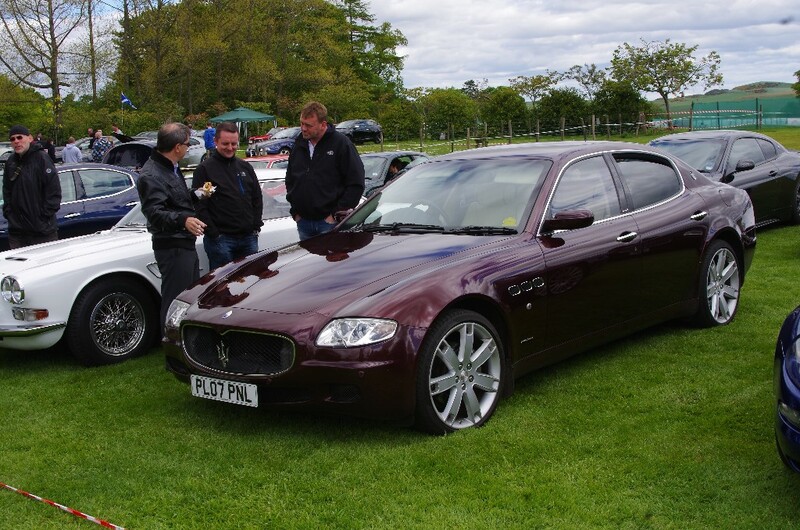 The Concours d�Elegance takes place at the same time as the annual Country Fair which itself attracts over 20,000 visitors who enjoy everything from aerobatic displays to powerboat racing, bungee jumps to stunt horses in the 5,000 acre Capability Brown landscape. Heveningham Hall is a Grade I listed Georgian mansion built between 1778�80 incorporating work from an earlier Queen Anne house and set in 5,000 acres of Capability Brown parkland. The house was designed by Sir Robert Taylor for Sir Gerald Vanneck, 2nd Baron Huntingfield. The interiors of circa 1781-4 were designed by James Wyatt. Wyatt's work at Heveningham is among his most significant. The length of the house, twenty-five bays, far surpasses the ordinary and contributes to the ranking of Heveningham as one of the most important country houses in Britain.